The information below is provided to help applicants. 1. What is the ACT Quality Mark? The ACT Quality Mark is a quality assurance process that leads to an ACT endorsement of teaching and learning resources that promote and support schools, colleges and other education settings in providing high quality citizenship education. Resources may support the subject of citizenship in its entirety or a particular area of citizenship content or skills. You will need to indicate which aspects of the subject of citizenship your resource is designed to address. politics, democracy, law, justice, parliament, government, rights and responsibilities, equality, identities, diversity, economy and finance education, community, participation and active citizenship. The content is often organised to address a range of topical and controversial citizenship issues which may include local, regional, national, European, international and global issues and challenges facing society. Citizenship issues may have political, social, moral, legal, environmental or economic dimensions. critical thinking and researching, enquiry, tacking controversial issues, oracy, discussion and debate, advocacy, influencing, campaigning and other forms of citizenship action, collaboration and teamwork, problem solving and critical reflection. 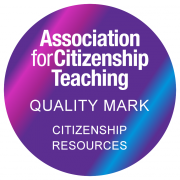 The ACT Quality Mark gives those planning for and teaching citizenship the confidence and reassurance that the resources they are using are of high quality and educational value. The mark is applied to each resource that meets with the quality assurance criteria set out in a self-assessment process. 2. What are the benefits of achieving the ACT Quality Mark? • Provides a fantastic opportunity to raise and extend awareness of your resource with our unique contacts list of more than 4000 teachers, senior managers, schools, colleges and other organisations engaged in citizenship education. Achieving the ACT Quality Mark for your resource also gives you access to marketing opportunities through our website, email networks and campaigns, social media, journal and high profile national conference. 3. What resources are eligible for the ACT Quality Mark? ACT will assess each resource using our approved assessors. Resources should be designed to support citizenship education. Most resources will be designed for use by teachers and other professionals engaged in the provision of citizenship education in schools, colleges and other education settings. We will consider education resources that are designed for use in Primary, Secondary and Post 16 education and training in the United Kingdom. Resources may focus on the entire subject or an aspect of citizenship content and or skills for example, teaching about the law or the skills of active citizenship. 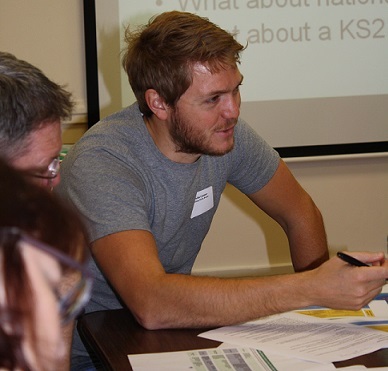 Resources might support one or more phases of education where citizenship education is offered in the curriculum or pupils are preparing for GCSE or A level Citizenship Studies. • Videos and multimedia resources. 4. What criteria are used to assess eligible resources? 4. Free and/or priced in a clear and transparent way and represent value for money. The ACT principles for effective Citizenship Education describe the full criteria which we use to review and judge each resource. 5. When should we apply for the ACT Quality Mark? Resource producers can apply for the ACT Quality Mark at any time. This might be retrospectively for a resource that was published during the last 4 years, or in advance of publishing a new resource. We suggest where possible applications should be made as the resource is approaching final draft form. Our assessors will need to be able to see the full contents of the resource including any video content or other visual or audio materials that form part of the resource. 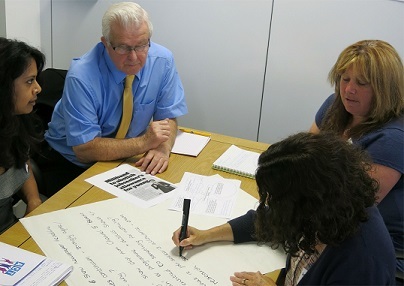 Feedback provided through the quality assurance process could be used to inform the final development of the published resource. 6. How do we apply and what is the cost? The quality assurance process is in two parts. Part 1 involves completing an application form and paying the initial application fee. The application form provides ACT with basic information about you and your resource. This will allow us judge whether the resource is eligible for the ACT Quality Mark and whether it is fit for purpose and can be used by ACT members and teachers. Part 1 also includes an initial application fee (£75 for commercial publishers, government departments £35 for registered charities). Part 1 of the process also allows us to assess the costs involved so that we can provide you with a full quote for your application. Quotes range according to the volume, type and scale of the resource and the marketing benefits that you select. There is a discount for ACT organisational members. Most fees range between £150 and £650. Part 2 involves completing the full self-evaluation form and paying your Quality Mark fee. This involves completing a more detailed application form to demonstrate how your resource meets the criteria required to gain the ACT Quality Mark. You also need to pay your full Quality Mark fee which you will have received as a quote after completing part 1. 7. How long does the Quality Mark last and what is the renewal process? The Quality Mark is awarded for up to 3 years, after which time the resource provider will need to reapply. Every two years, a resource provider with the quality mark will be contacted to check if the resource remains available and whether it has changed in any way. If a resource is revised or updated sooner than 3 years after being awarded the ACT Quality Mark, the provider will need to inform ACT of the changes to see whether a new application is required. 8. How do we judge the quality of a resource against the ACT Principles for effective citizenship education? When applying for the ACT quality mark you will need to consider how well your resource supports the ACT principles for effective citizenship education. The principles are designed for teachers but should be evident in citizenship education resources that reflect best practice and promote high quality citizenship education. The principles are illustrated with standards on the self-assessment form in Part 2 of the accreditation process. 9. What happens if your resource does not meet the standard required to achieve the ACT Quality Mark? The quality assurance process is designed to provide professional feedback on the quality of your resource. If your resource does not meet the required standard you will receive feedback on what steps to take in order to meet the standard. If you would like additional professional support in developing your resource we can also provide this.